I’ve been out of town so I figured Halloween costumes would provide some quick and easy choices today. I probably should have chosen more, but you never know when you might need a gag costume. What you see are things that will be thrown away – the home-made pterodactyl dinosaur collar, the tie-died shirt with holes in it, the falling apart crazy hats… are not in good enough condition to give away. 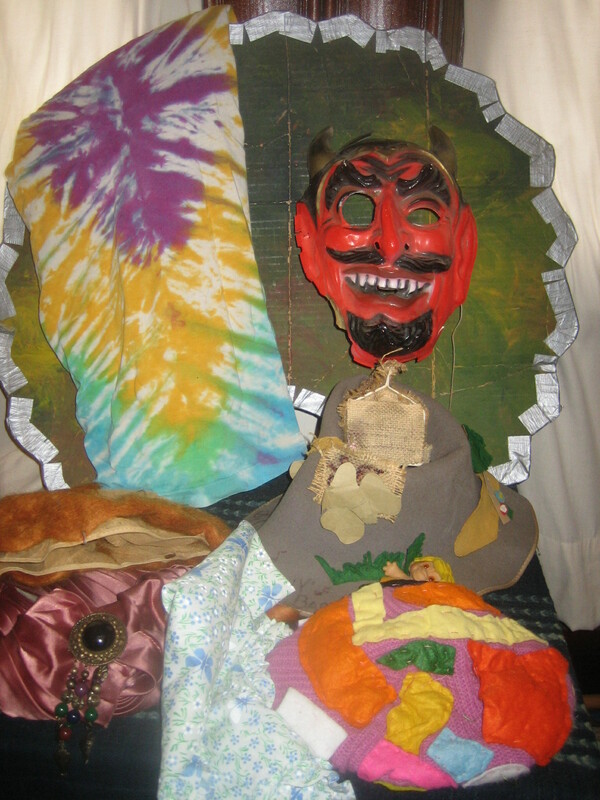 Fortunately I had already taken the photo when I rummaged deeper into the closet and found the hand sewn clown, lion, and witch costumes. How did I ever have time to make those? I still have a handful of costumes my mother made me in the 50’s and 60’s. Too precious (and fragile) to give away. 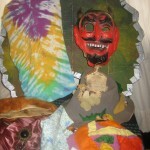 I gave away 2 monster boxes of costumes when I downsized. That’s what one saves with the luxury of lots of storage.